At last we are able to offer our own front exhaust system for this bike. 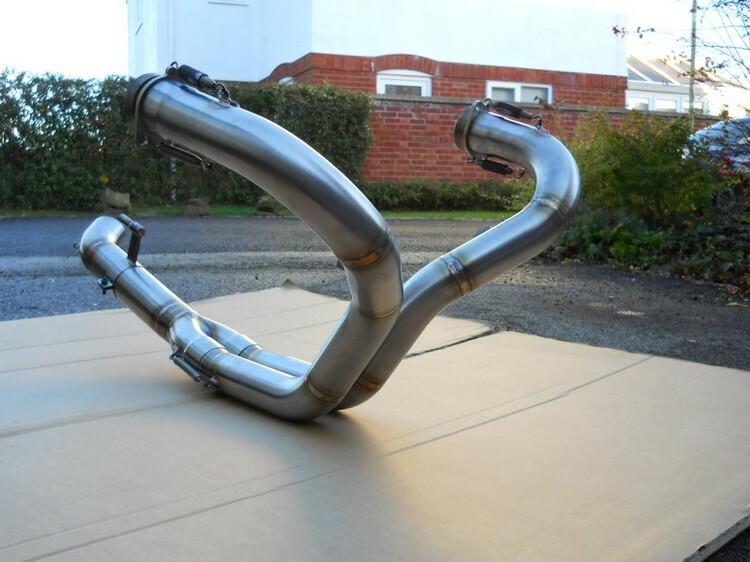 These are made exclusively for us by an expert exhaust maker, with a lot of experience making exhausts for Moto-GP, CRT, BSB, C.A.R.T, and many others, as well as producing highly specialised aftermarket exhausts for a number well regarded companies. This exhaust is based on the highly successful system designed and produced by HPE (R.I.P.) for the R1200S about 8 or 9 years ago. 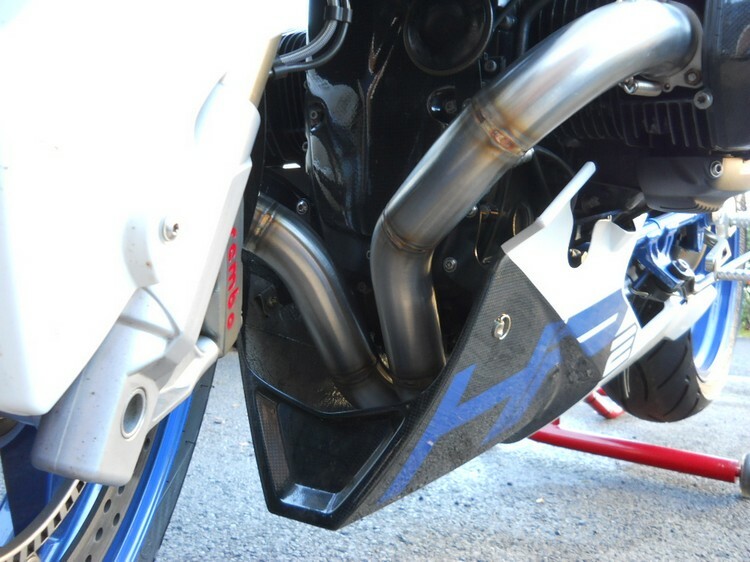 It is designed to fit exactly with the OE rear system, and requires no modification to the bike. 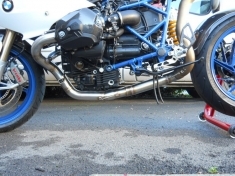 It also works with OE fuelling, although as with the standard exhaust, the bike will work a lot better with mapping improvements such as the RapidBike Easy or even the RapidBike Evo mapped to suit that can be bought from us. Made from stainless steel, it will be produced to order with a delivery time of usually 3 -4 weeks. The delay can be as much as 7 - 8 weeks depending on how much other work the fabricator has at the time. It can be made without the two O2 sensor bosses if required, and in that case would be supplied with one sensor boss on the central pipe for dyno set-up purposes. 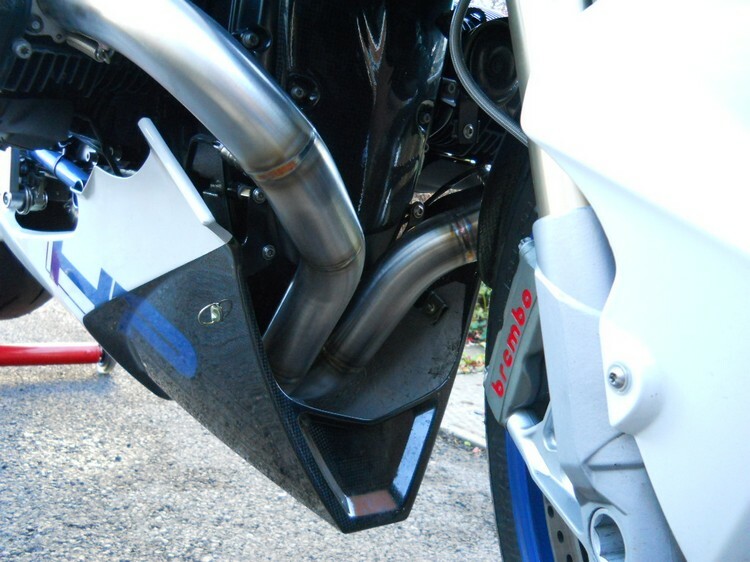 The exhaust can also be supplied with a mirror-polished finish for an extra £75. It can also be made from Titanium or Inconel. The price for these would be £1350 + VAT. The weight is approximately 3.60 kg against the OE front pipes of 4.55 kg. The Titanium is approximately 1.85 kg. Here is a sound clip of our complete exhaust system being tested at Rockingham Raceway. Apologies for the poor quality video, but the mobile was not doing what I wanted it to.